Travel in time to a dusty pinball saloon! Hear the sounds of the metal ball hitting the bouncers and observe the score going up and up! 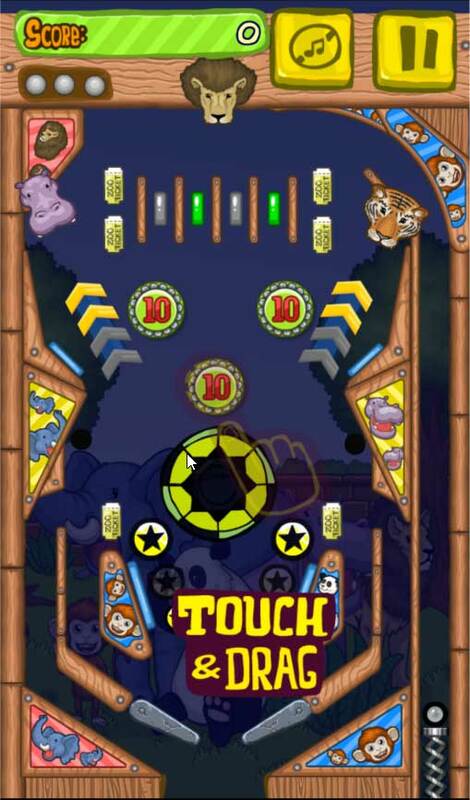 We give you the super real experience of the pinball game, right on the browser of your phone! 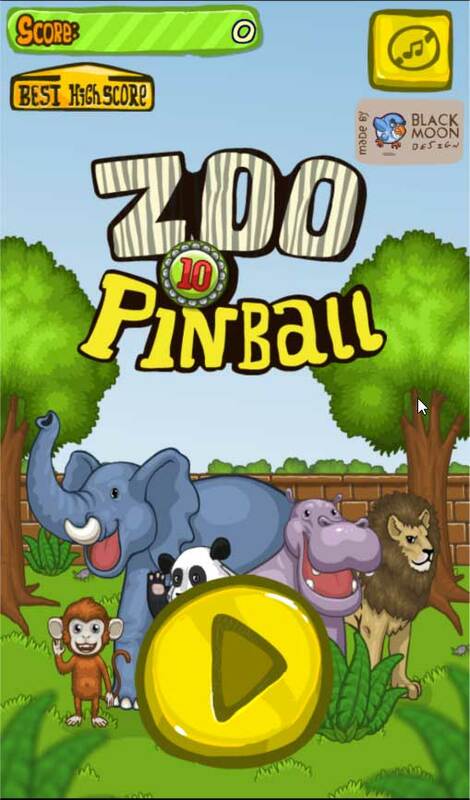 This pinball table has a ZOO theme. Aim the ball into the jaws of the mighty lion, tiger or hippo to score loads of points. 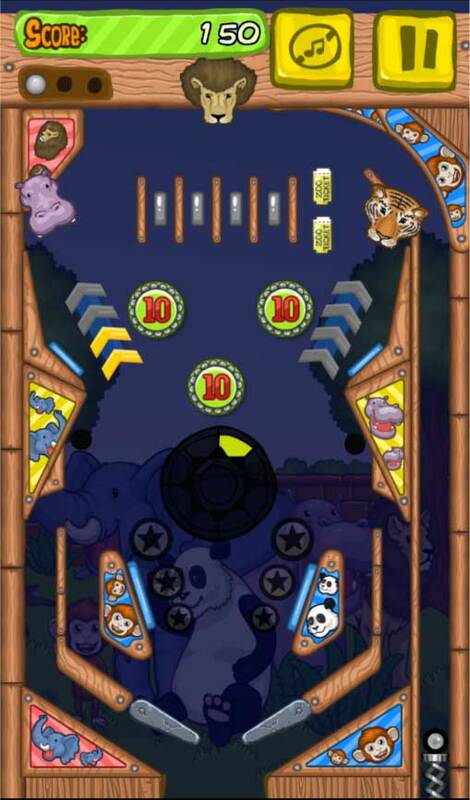 Tap left or right on the screen to use the flippers and swipe before playing to shoot the ball. A legend speaks of a mysterious animal that lives deep in the African desert. That mysterious animal is the Bouncing Lycaon. It has razor-sharp reflexes and thrives on the thrill of danger! So, it cannot stop itself from tempting death! Luckily, it has many lives (maybe it's related to cats…), and the temple where it is kept has many blades to threaten it as it bounces around. Keep the Lycaon bouncing while avoiding the blades that come out of the walls. Every time you touch the screen, the lycaon will bounce. How far will your lycaon reflexes take you? Tap Tap Lycaon is an accessible game that we only recommend to… any-and-every-one! Welcome to your own B-movie! You thought you could take it easy at the beach, under the summer sun? Sorry, but you can forget it because famished zombies are invading the place, determined to raid the free buffet that is the multiple tourists who are at the beach, too. Since we’re in a very bad movie, you are obviously armed. Use your shotgun to clean the beach and save all the pretty ladies (you might get lucky). Zombies at the Beach is a first-person shooter in which you must manage your stock of ammunition and kill the enemies that are hiding behind the background elements. Shoot them down as fast as you can; if they come too close to you, they are going to attack you! Be cautious, because there are also some civilians that you must absolutely not shoot! Even if they’re as pale as the dead! Eliminate zombies across a hundred levels while taking care to avoid their mortal attacks. Put your reflexes and your speed to the test and make the putrefied flesh of these morons fly to survive and become worthy of the worst B-movie ever put to film. Zombies vs Finger is an arcade game in which an army of zombies tries to go from the top of your screen to the bottom. You only have three Health Points and each zombie that reaches the end of the screen will make you lose one. To exterminate them, you must simply tap on them. You also have the possibility to use explosives to do more damage! It’s time to see what’s going on in space! Put on your space suit and get on your new spaceship. Look at the gorgeous sight… but don’t look to long! You also have to kill de monsters you encounter. Level up your spaceship and your space suite to become the master of the universe! Astronaut warrior is a game of anticipation that will test your reflexes. The charismatic characters make for a unique game! It’s your time to play; the universe is waiting for you!